Capitalism at Work. Widespread Hardship: “What’s More Important? The Dignity of Women or another Billion Dollars for the Banksters”? According to the story, the plummeting living standards forced on the Greek people by German chancellor Merkel and the European banks have forced large numbers of young Greek women into prostitution. The large increase in the number of women offering sexual services has dropped the price to 4 euros an hour. According to this cynical report in The London Times, that’s $4.24, enough for a cheese pie or a sandwich, the value that bankster-imposed austerity has placed on an hour’s use of a woman’s body. When one reads a story such as this, one hopes it is a parody or a caricature. Although the London Times has fallen a long way, it is not yet the kind of newspaper that can be purchased at grocery store checkout counters. The story gains credence from the websites in the US on which female university students advertise their availability as mistresses to men who have the financial means to help them with their expenses. From various news reports, mistress seems to be a main occupation of female students at high-cost universities such as NYU. The NYU girls have it far better than the Greek ones. The mistress relationship is monogamous and can be long-lasting and loving. Prudes make an issue of the disparity in ages, but disparity in age was long a feature of upper class marriages. Prostitutes have large numbers of partners, each possibly carrying disease, and they receive nothing in return except cash. In Greece, if the report is correct, the payment is so low that the women cannot survive on the money beyond lunchtime. This is capitalism at work. In the US the hardship comes from escalating tuition costs, with 75% of the university budget spent on administration, rather than on faculty or student aid, and from the lack of jobs available to graduates that pay enough to service the student loans. These days your waiter in the restaurant might be an adjunct or part-time university professor hoping to get a full-time job as an actor. As mistresses, the NYU girls will be doing better. In Greece the hardship is imposed from outside the country by the European Union, which Greece foolishly joined, giving away its sovereignty in exchange for austerity. 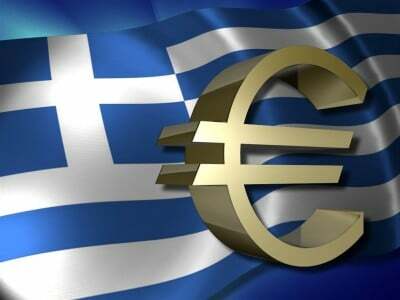 The banksters and their agents in the EU and German governments claim that the Greek people benefitted from the loans and, therefore, are responsible for paying back the loans. But the loans were not made to the Greek people. The loans were made to corrupt Greek governments who were paid bribes by the lenders to accept the loans, and the proceeds often were used for purchases from the country from which the loan originated. For example, Greek governments were paid bribes to borrow money from German or other foreign banks in order to purchase German submarines. It is through this type of corruption that the Greek debt grew. In Greece the loans are being paid by money “saved” by cutting Greek pensions, education and social services, and public employment, and by money raised from selling off public assets such as ports, municipal water systems and protected islands. The cutbacks in pensions, education, social services and employment drain money from the economy, and the sale of public assets drains money from the government’s budget. Michael Hudson tells the story brilliantly in his new book, Killing The Host. The result is widespread hardship, and the result of the hardship is that young Greek women have to sell themselves. It is just as Marx, Engels, and Lenin said. One would think that people everywhere would be outraged. But to most of those who commented on Zero Hedge (and who represent the vaunted “Western Values”) they see nothing to be outraged about. The percentage of pro-Western Russians who look to the West for leadership must be rapidly approaching zero. What’s more important? The dignity of women or another billion dollars for the banksters? Western “civilization” has given its answer: Another billion dollars for the banksters.